For a custom look with exceptional quality; our Premium Faux Wood Blind gives you custom features without the custom price. 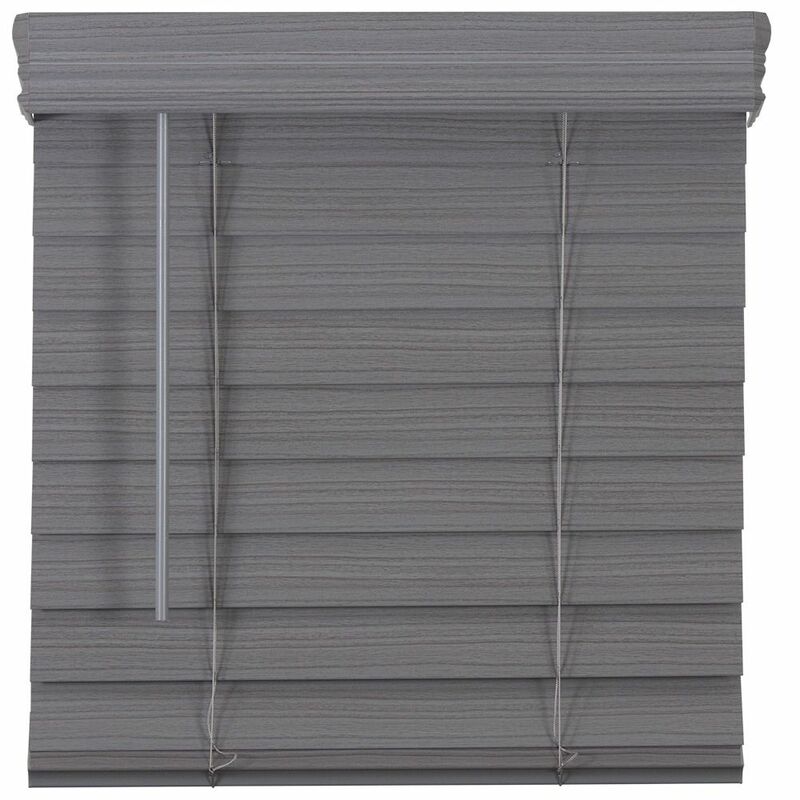 Superior quality-built 2 1/2 inch slats provide 25% more view. With the smooth operating cord tilt light control is one easy pull away. The blind features "smart privacy" construction that prevents light from filtering through when closed. Upgraded decorative 3 inch crown valance comes with a specially designed, one-of-a-kind wrap-around valance corner that finishes the custom look and complements many crown mouldings and trims. Best of all, the Premium Faux Wood Blind is moisture and heat resistant, making it ideal for any room in your home.